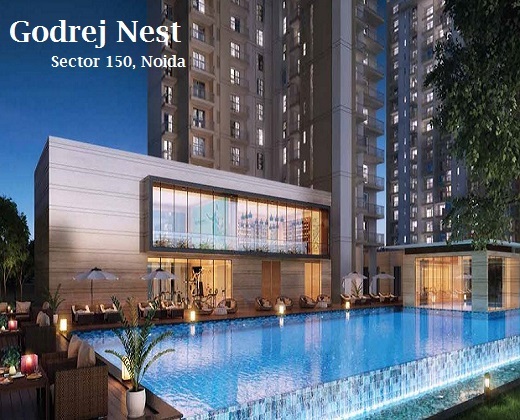 Live an aristocratic life at Godrej Nest, Noida! 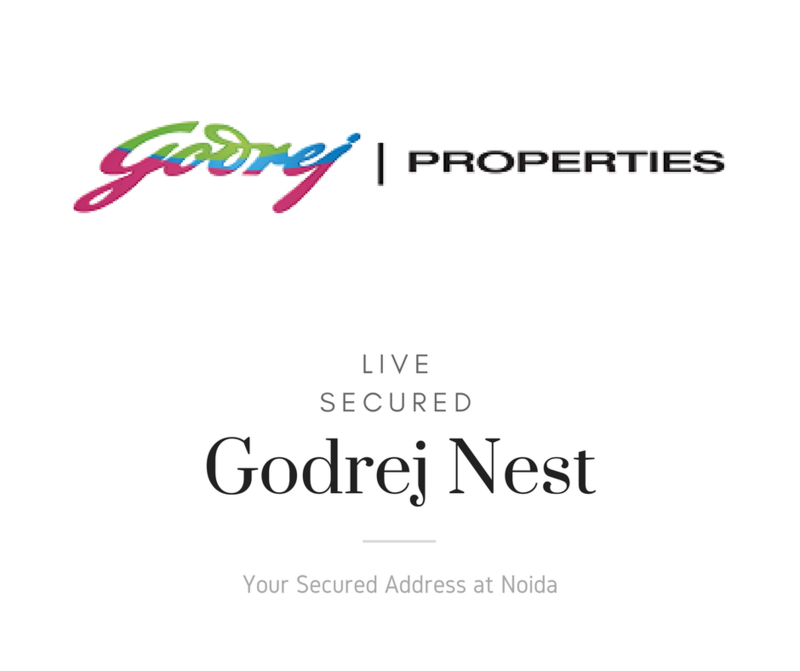 Godrej Nest is one of the latest presentations from Godrej Properties. The residential complex has come up in Noida, one of the fastest emerging residential hubs of the country. 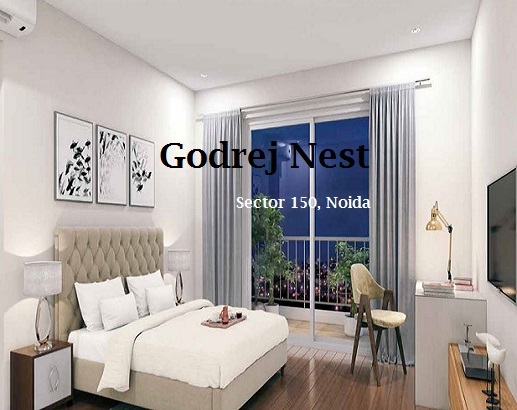 If you are interested in living in a luxurious apartment, with all sorts of amenities ensuring your comfort, Godrej Nest is the right choice for you. The elegant residences in the gated community bring you an aristocratic lifestyle. The security in the residential complex is upgraded; the residents can remain secure within the 5-tire security features of the community. The environment in the complex is ambient, and the residents can enjoy the landscaped gardens when they move to the apartments. The residential complex comes with elegantly designed homes, with a spacious interior and sophisticated living spaces. The iconic tower is a landmark in the area, and the superb architectural design sets it apart from other structures. You will get the taste of quality lifestyle when you move to the apartments here. 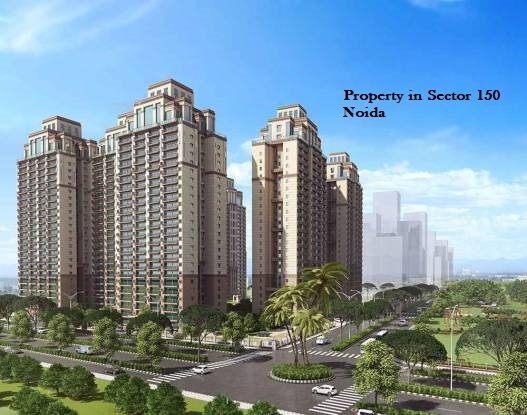 The estate lies close to Sector 150 in Noida, which ensures fast and easy connectivity to the rest of the areas. 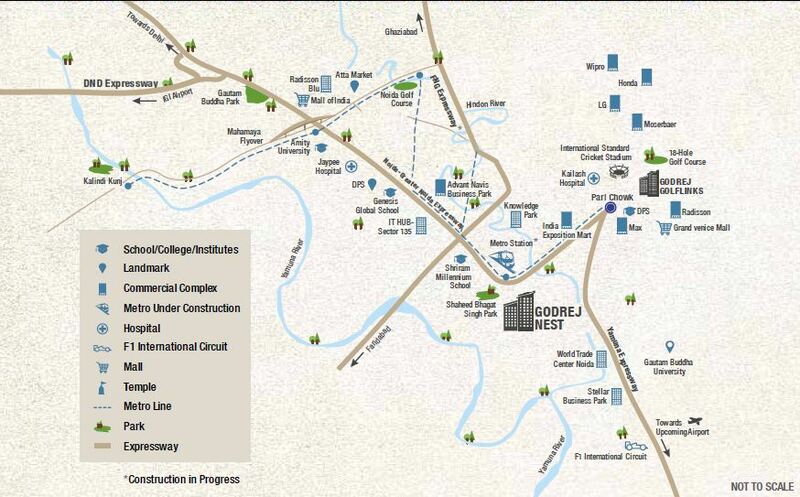 One of the key advantages of moving to Godrej Nest Noida is its strategic location. Its proximity to Delhi makes it a commercially important location. The residents here enjoy easy access to the places of entertainment and commercial areas in Delhi. Apart from a dense network of roadways and railways, Noida is connected to Delhi through the metro railway. Besides, the industrial hub, located in Gautam Buddha Nagar, lies close to the estate. A number of thoroughfares connect the residential complex to the surrounding areas. Important roads connecting the area to other places include Noida-Greater Noida and FNG & Yamuna Expressway. A number of schools and hospitals are located close to Sector 150. The well-developed network of roadways ensures a seamless connectivity to these institutes. People living in the residential estate can reach the airport in 1 hour. Besides, you can reach the railway station in 20 minutes. People can get across to other important locations like Park Street in 15 minutes. The important educational institutes include Asian Education Group, Amity University, Amity Law School, Sharda University, Galgotia's College of Engineering and Technology, and Greater Noida Institute of Technology. The upgraded infrastructure around the area is attracting investors and homeowners. The price of property in the area is also rising. If you are willing to buy an apartment in the region, this is the best time for you. As the property prices in the region are likely to rise in the future, investors can get good returns on their money. If you are inclined towards green living, you can get an apartment in the estate. The wide balconies and large windows in the complex enable you to get an unhindered view of the green patches in the complex. The apartments come with all the amenities you would expect to make your life comfortable. Besides, several restaurants, shopping malls, and multiplexes have come up in the area in recent years. You will enjoy the enriched social infrastructure when you move to the apartments. The residential complex is spread over 9 acres of land. The buyers can customize 2, 3 and 3.5 BHK apartments in the residential complex. The floor planning has been intelligent and a lot of space has been dedicated to public use. Godrej Nest awaits the customers with an aristocratic lifestyle. Noida is connected to Delhi through the DND Flyover, over the Yamuna River. Residents can also seek fast transportation facilities through the Yamuna Expressway. The residents can also take the Noida-Greater Noida Expressway, which enhances the connectivity in Noida. Besides, you will also enjoy seamless transportation facilities when the upcoming metro projects are completed. Other important roads in the area include the Upper Ganga Canal Expressway, Ganga Expressway, Delhi-Meerut Expressway, and Delhi Eastern Peripheral Road. Several elevated corridors have also come up in the area. The residential complex comes with a diverse range of amenities, including a swimming pool, gym and play area for the kids&rsquo. If you are willing to buy an apartment in the Godrej New Project, "Godrej Nurture" this is the right time for you to invest. The number of apartments is limited and a large number of investors are keen to get an apartment here. Enjoy a sophisticated living infrastructure in the residential estate in Noida. First Residential Sector From Upcoming International Airport. Pro Sports gym By Zaheer khan. Music & Dance Academy By Delhi Dance Acedemy. India's First Wire - Free Sector. Close Proximity to Greater Noida Expressway. Close proximity to Yamuna Expressway. Metro Connectivity To Connaught Place, IGI Airport, NDLS and Gurgaon. Signal Free Connectivity To Delhi By Noida - Greater Expressway.